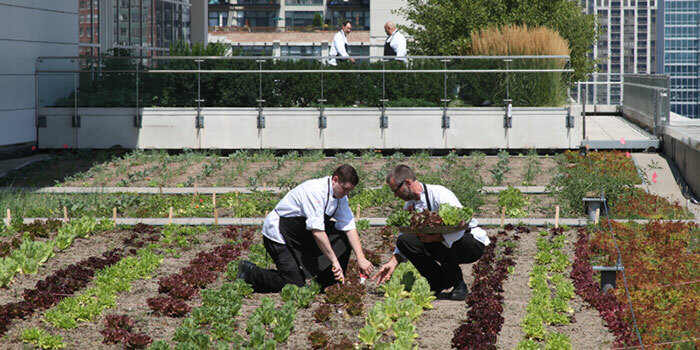 Chicago is home to many food gardens and urban farms in neighborhoods, parks and even on rooftops. Click on the markers above to learn more about some of the local standouts. 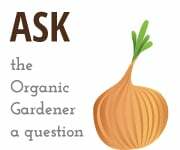 Do you know of other standout food gardens in the Chicago area? Share them with us. 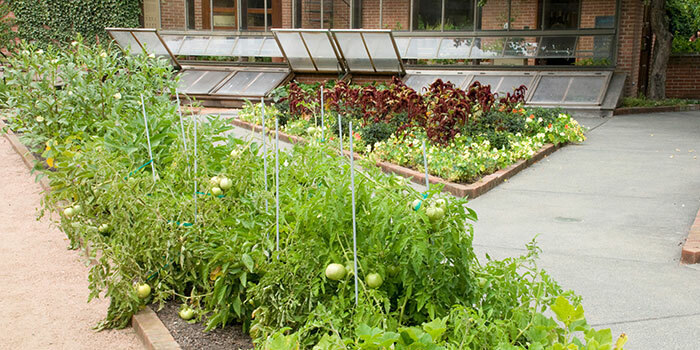 The Edible Garden, located in the Farm-in-the-Zoo at Lincoln Park Zoo, lets children learn where their food comes from with hands-on experiences including planting, weeding, composting and harvesting. The garden is run by Chicago’s Green City Market and is free and open to all, weather permitting, Wednesdays, Thursdays, and Saturdays 10:00 am to 1:00 pm April through October. 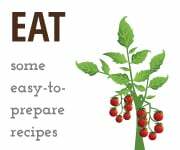 Uncommon Ground grows a variety of vegetables and herbs each year. Everything that grows on the restaurant’s rooftop is incorporated in its menu. Saturday tours are offered. The Iron Street Farm teaches low-income teenagers to cultivate produce in order to gain work experience. 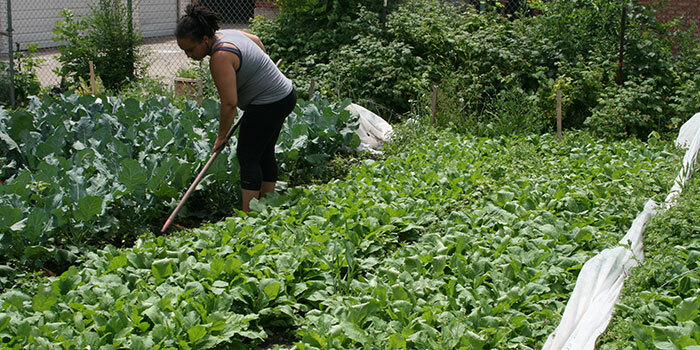 Growing Power, a nonprofit organization, manages the 7-acre urban farm in Bridgeport. 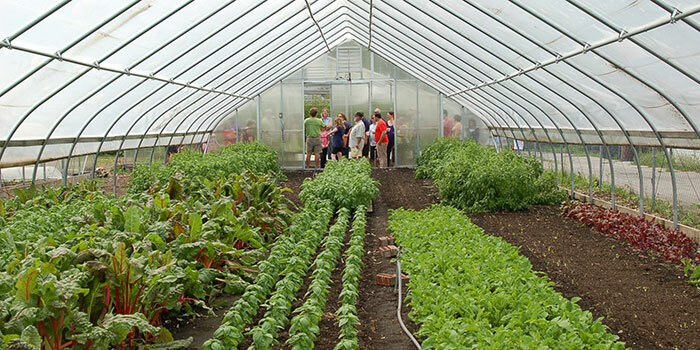 The urban farm offers tours Tuesdays and Thursdays at 1:00 pm and Saturdays from 10:00 am to 1:00 pm. Tours cost $10 per person. To reserve a spot, email chicago@growingpower.org. Guadalupe Garden is an urban farm experiment site on the grounds of Su Casa Catholic Worker, a resource center and shelter for Latina women and children. 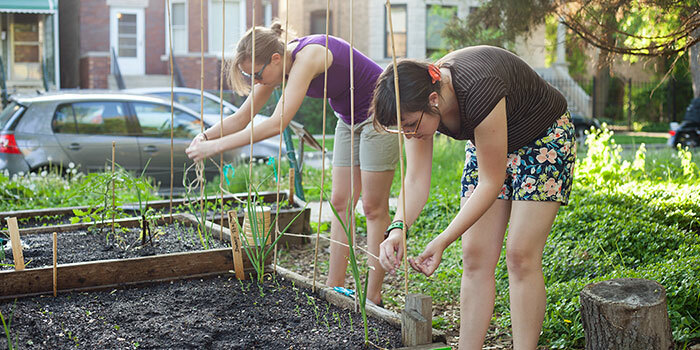 Volunteer workers and community members are moving toward a more sustainable and healthy way of supporting themselves by planting seeds of change. 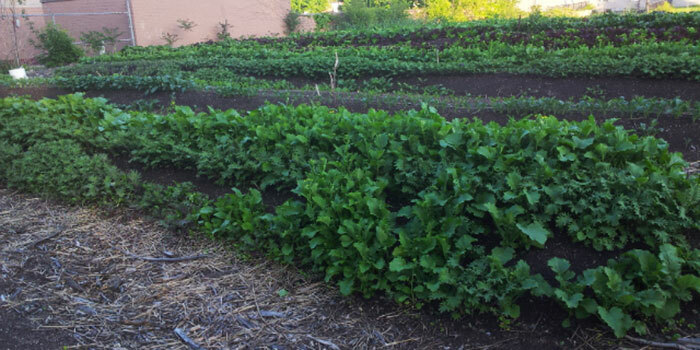 In addition to feeding the families in the shelter, Guadalupe Garden will provide supplemental vegetables to needy community members in the Back of the Yards neighborhood through Frieda’s Place soup kitchen. The Regenstein Fruit and Vegetable Garden at the Chicago Botanic Garden cultivates 400 different edible plants in landscaped grounds. The garden is open until 6:00 pm. Admission to the Chicago Botanic Garden is free. The Urban Canopy aims to make healthy produce more accessible and localize the farming of fresh food. The organization has farms in Englewood and Bronzeville. 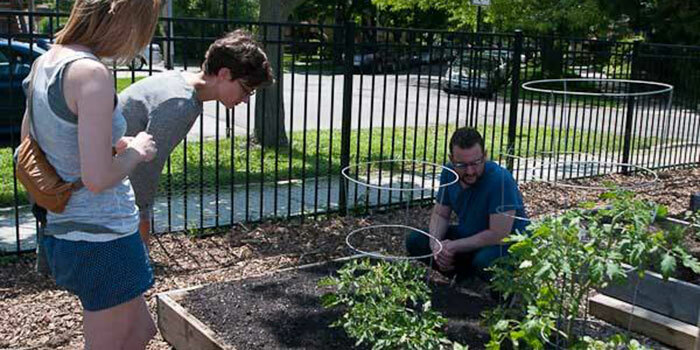 Chicago Lights Urban Farm grows organic food in the Cabrini-Green neighborhood. The farm provides job training and youth development as well as provides families with access to affordable, organic produce. Volunteers are welcome. The Grant Park "Art on the Farm" Urban Agriculture Potager is a collaborative project between the Chicago Park District, Moore Landscapes and the community organization Growing Power established in 2005. The garden offers over 150 different vegetables, flowers, and herbs. 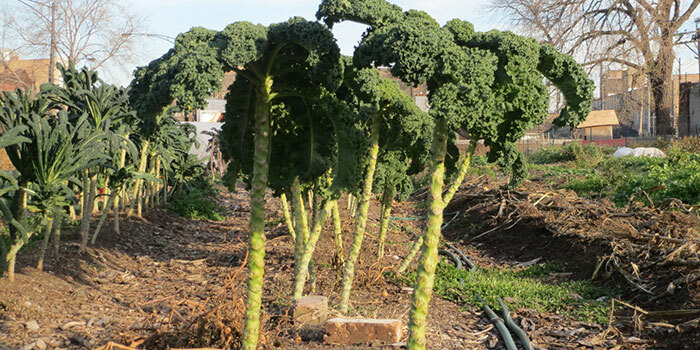 The Wood Street Urban Farm is a small garden located in the Englewood neighborhood. While its small size makes up only 2/3 of an acre of land, last year alone it grew and sold over 13,000 pounds of produce. The nonprofit organization Growing Home trains and educates homeless and low-income individuals at the farm in Englewood. The Rooftop Farm at McCormick Place is huge, making up 20,000 feet of the convention center’s roof space. It is managed by the Chicago Botanic Garden and the goal is to supply the McCormick Place’s catering service company, SAVOR… Chicago. 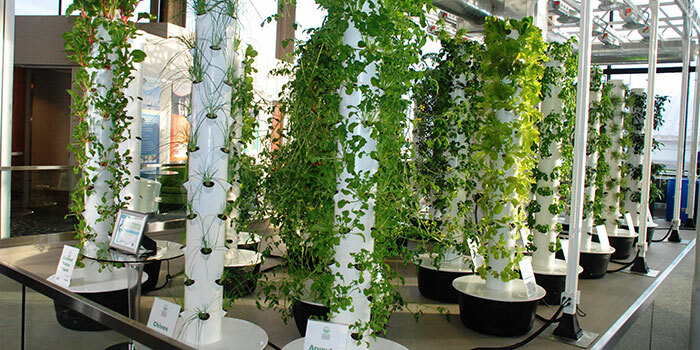 The O’Hare International Airport Urban Garden is a vertical garden and is located in a mezzanine space in Terminal G. The garden welcomes visitors to view the vertical-growing plants and explore the various vegetables on display. The vertical towers hosting the greenery also power the watering system. The Peterson Garden Project intends to encourage urban food production to reduce carbon footprints and truck traffic. 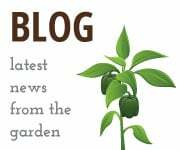 Local residents may start a garden plot in several areas of the city. Two friends, Katie Williams and Molly Medhurst, began Patchwork Farms to earn a living and enjoy farming. They grow and sell vegetables on Chicago Avenue. Photo courtesy of Geoff Hing. Corner Farm Chicago has two farms, Altgeld Sawyer and Kimball Medill. The Logan Square neighborhood converted the once empty lot of Altgeld Sawyer into a community space to provide food for Christopher House schools. The Kimball Medill garden grew in place of the Kimball Avenue Church in 2012.